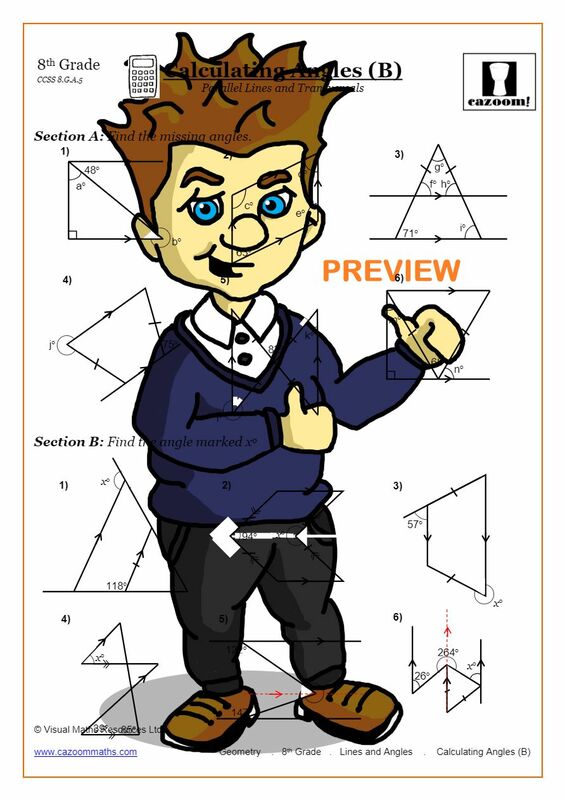 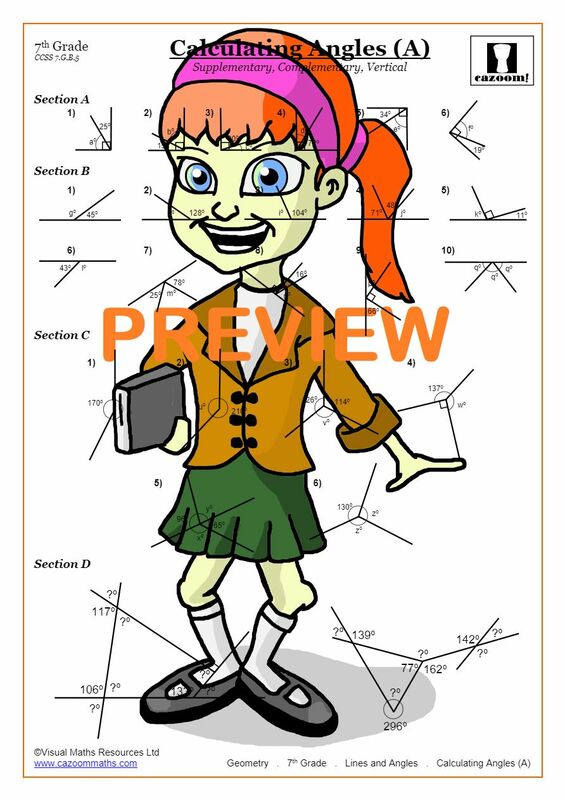 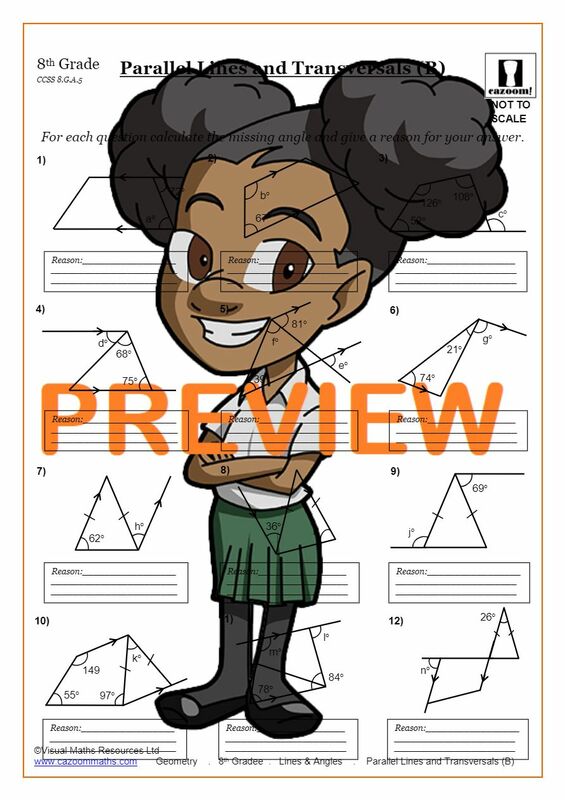 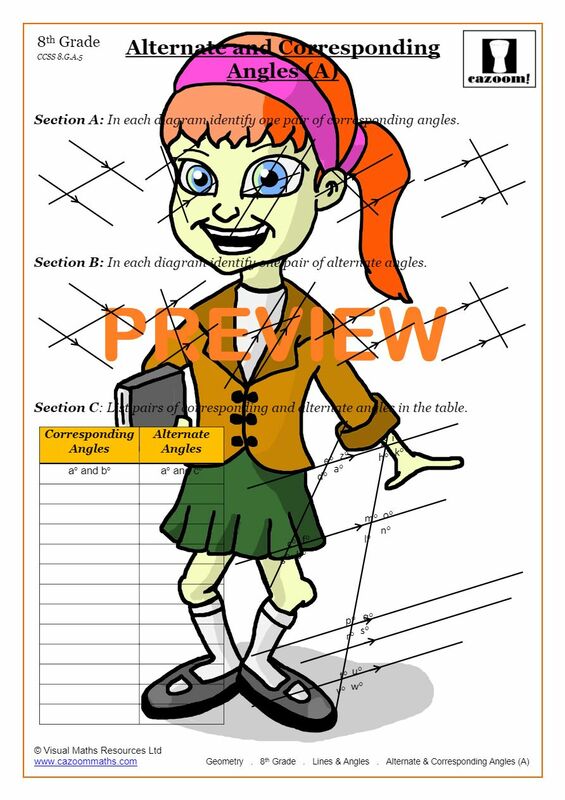 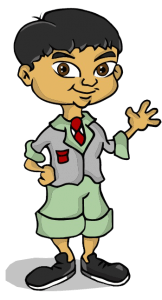 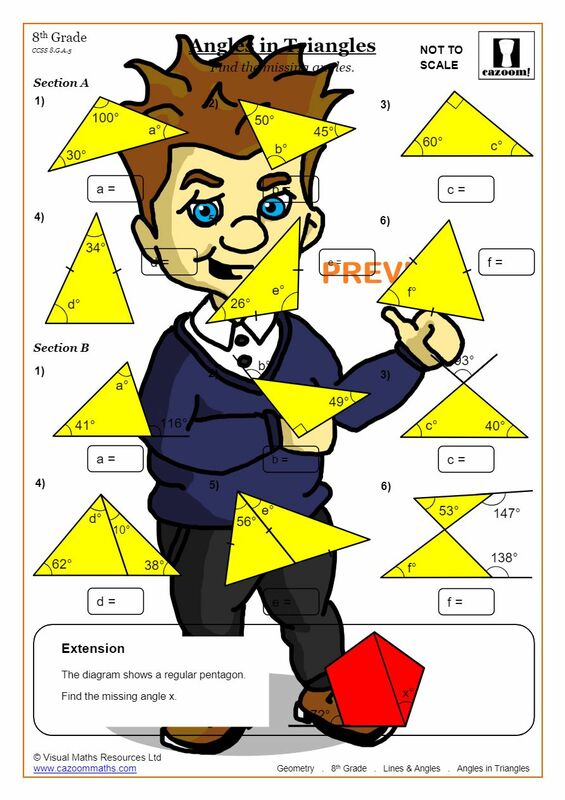 Here at Cazoom Math we provide a comprehensive selection of angles worksheets all designed to help your child or pupil understand the complexities of solving angles at home or at school. 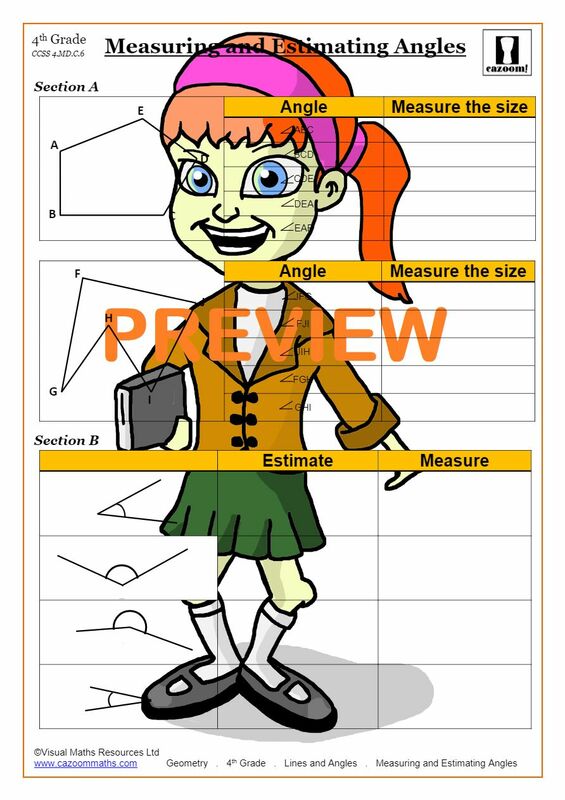 Whether it's a calculating angles worksheet, angles in triangle worksheet, angles on parallel lines worksheet or finding missing angles worksheet, you can download all the resources you need to help your student to become a master of angles. Lines and angles are involved in nearly every aspect of our daily lives. 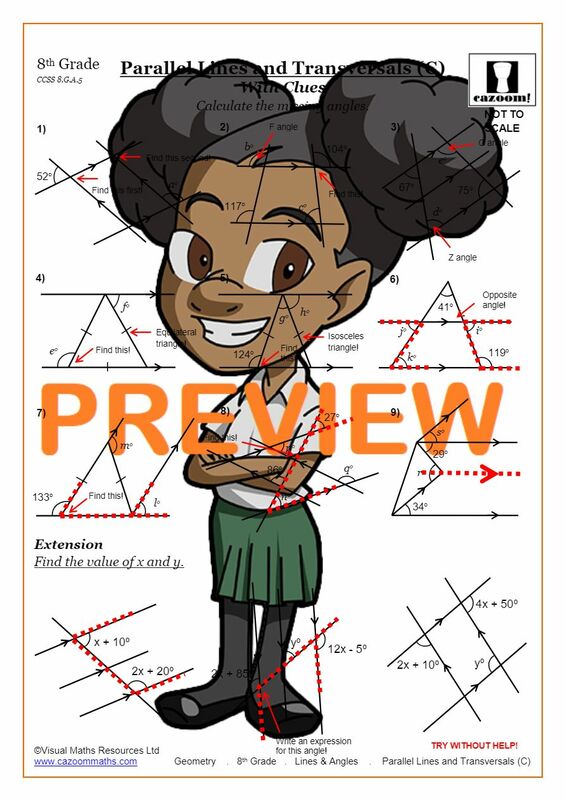 It is important that students be confident on calculating angles, measuring angles and drawing angles to be successful in their math exams, but having a solid knowledge of lines and angles can also help students’ understanding of the world.